The Collision Repair Association represent and lead the collision repair industry in quality, standards and education by providing members with the best possible support, products and information and liaising with inter-industry business for the continued growth and professionalism of our industry. They promote consumer awareness, maintaining quality assurance standards and industry credibility, satisfying all applicable requirements. The Collision Repair Association’s membership includes qualified panel beaters and auto refinish painters and all other car collision repair tradesman and allied businesses. Client: The Collision Repair Association. Project: Promotional Material for the Collision Association Repair’s 91st Annual Conference & Trade Exhibition. 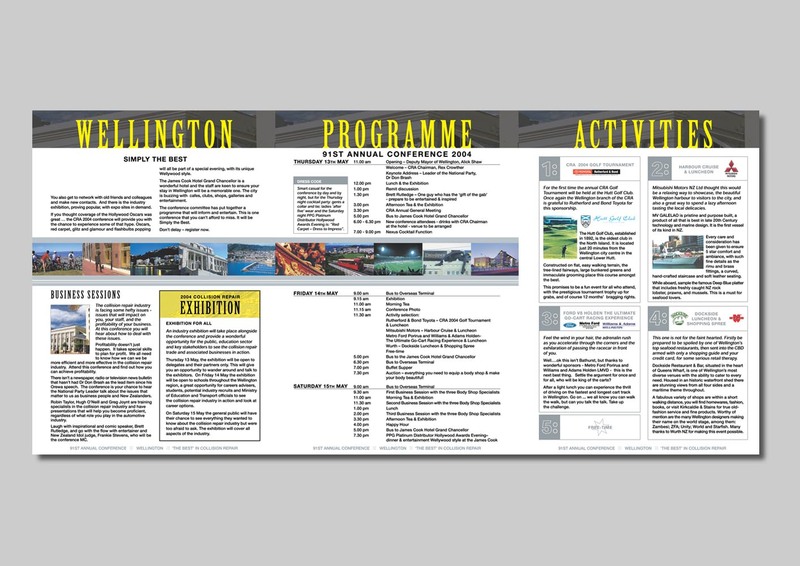 Format: A4 folded into three panels conference Programme. Mini-Programme and Business Day Form and several Adverts for Panel Talk. Brief: The client required the look of the design to be professional and clean-cut. It needed to be people focused, portraying the industry and at the same time promoting Wellington. 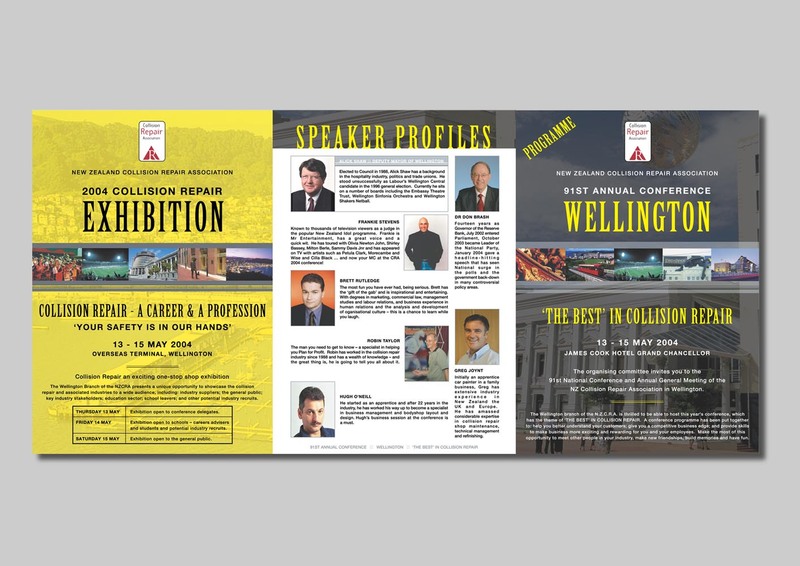 Solution: I designed the ‘look & feel’ by using the Hurricanes black and yellow team colours and professional photos of all the best spots in Wellington ie Opera House, Cable Car, Te Papa as well as professional photos of the high profile speakers.